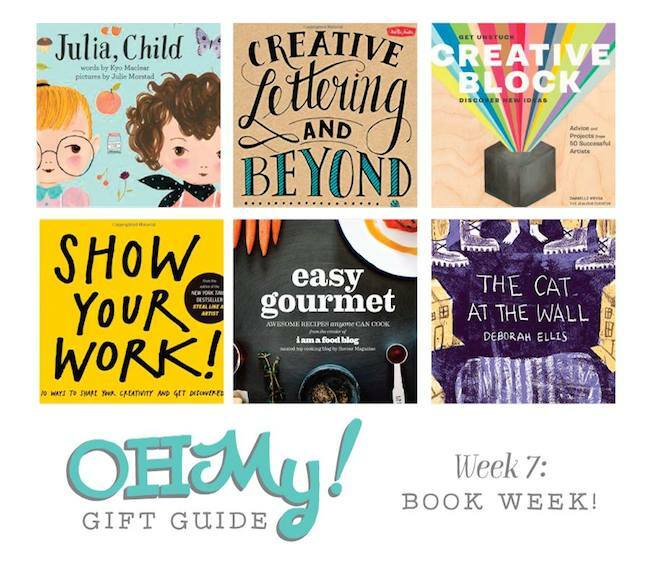 Omiyage Blogs: OMHG Gift Guide - Week Seven - Books PLUS Giveway Alert! OMHG Gift Guide - Week Seven - Books PLUS Giveway Alert! In the 8 weeks leading up till Christmas, I'm teaming up with Oh My! Handmade to create a series of gift guides featuring artists, makers and small businesses as both the gifts and the gift pickers. Week Seven is all about books! Books for kids, books for adults, books for creatives, books for cooks. Books! You can see our top picks here. And then even more books here. But that's not all! We're declaring this week to be Book Week and any week that receives it's own declaration also deserves something fun. Or, in this case, five somethings fun. Five fun book-a-licious giveaways that is! We've paired some lovely creative books with complementary items. There will be a new giveaway each day this week. The first one can be found right here. Special thanks to Walter Foster, Jet Pens, Peter Pauper Press, Omiyage, Sasquatch and Scout Books for supplying us with all these awesome goodies to share with you!